Well now that Broad Street is over I am not going to begin to focus on my race MAY 24th. If I get 75 miles in on the bike this month that will be good. I have been swimming and I feel good. The marathon training has kept my fitness level elevated so I am not really concerned. 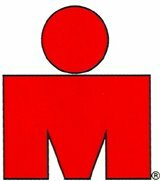 The race is a 400-meter ocean swim, a 12.3 mile (4.1 mile loop) bicycle race and a 3.1 mile beach run. I will keep you updated on my training.